Not sure what to get that someone for Xmas? Would like to treat yourself, with a surprise gift? Sweet-D-Lites is here to help? 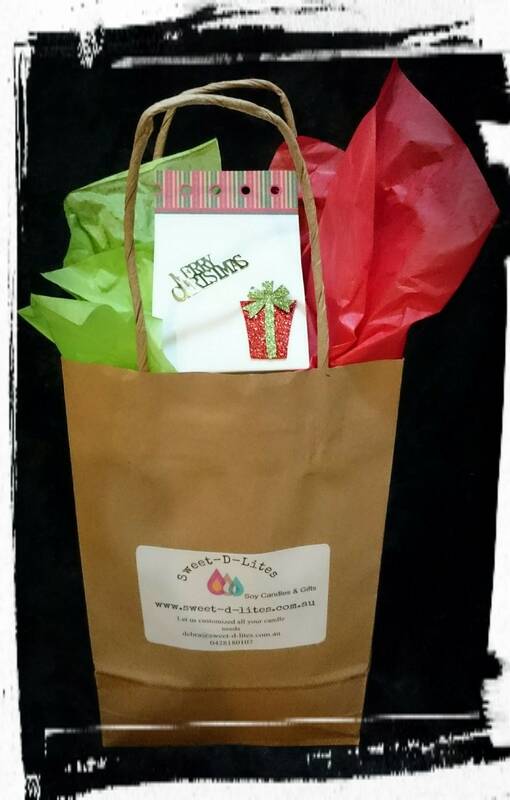 Grab a Sweet-D-Lites Mystery Bag or Box filled with goodies. You can buy $30 bag/box and get over $40 worth of goodies delivered to your door. So what's in a gift? Can be soy candles, fragrance tea lights, maxi lights, spa candles, soy melts any number of cool things to make up your Sweet-D-Lites Mystery Bag/Box. Big value, cool stuff...grab a Mystery Bag/Box!! Available for local delivery, pick up from home base, able to post Australian Wide with a gift card expressing your wishes.